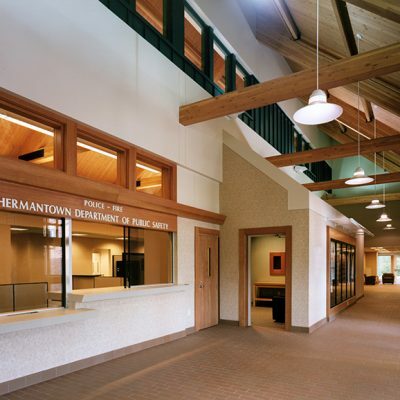 This facility houses the City of Hermantown’s Fire and Police Departments in one complex. 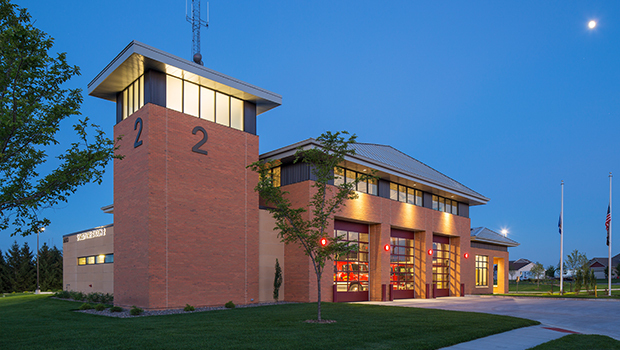 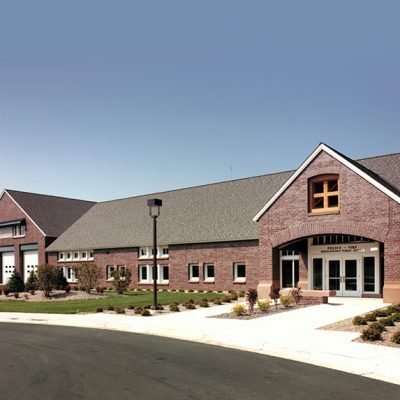 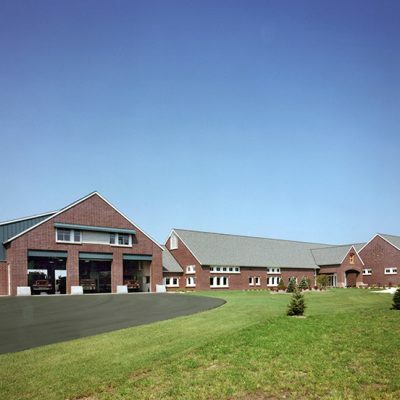 The building incorporates shared offices, a training room and physical fitness center for police and firefighters, and contains a large training room that is made available for community events. 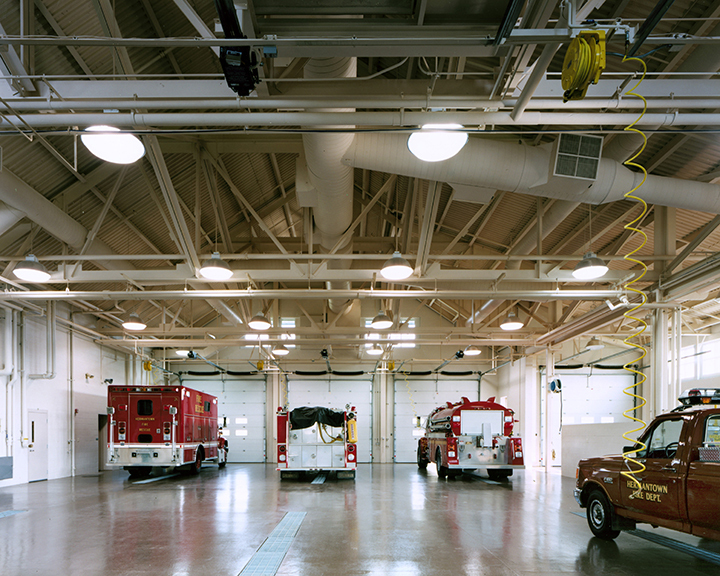 The facility has two wings, one designated for the fire department and one for the police department. 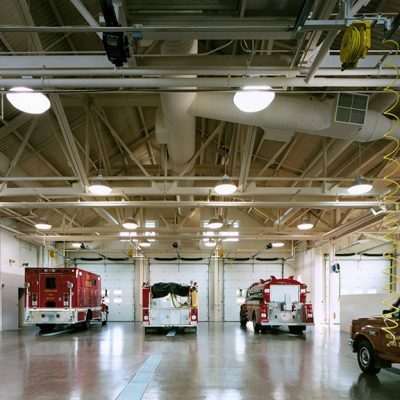 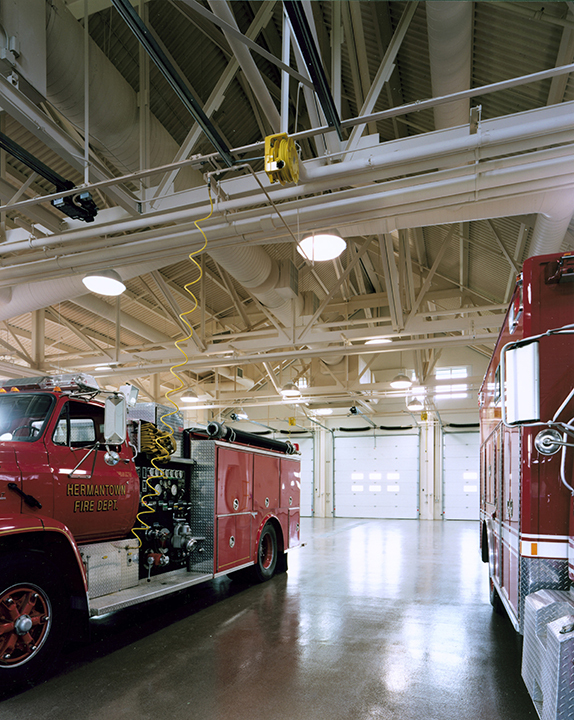 The fire department area includes a four-bay fire apparatus garage with accessory maintenance, fire equipment and servicing facilities, a communication area and offices. 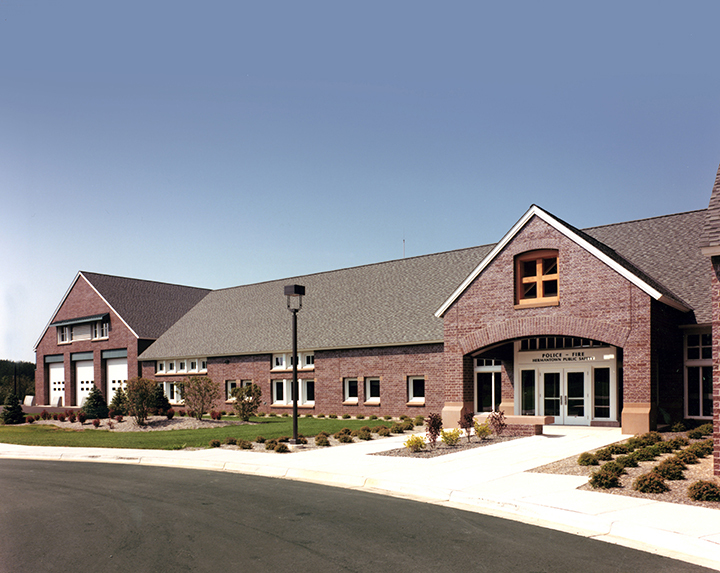 The police department wing includes squad car garages, processing areas and administrative offices. 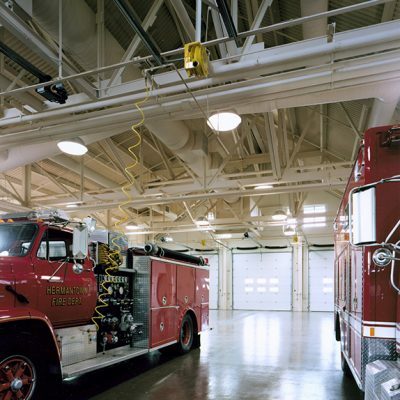 Both fire and police departments integrate modern technology for dispatching, electronic communications, information storage and retrieval and security systems. 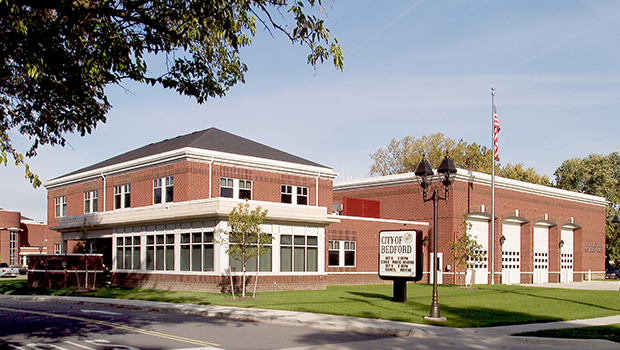 The master plan for the 25-acre site allows enough room to accommodate other possible future city functions as well as a civic park with a shelter and trail system. 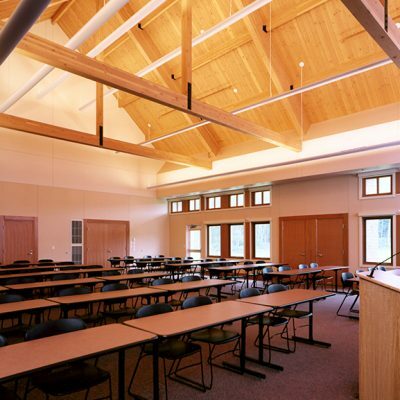 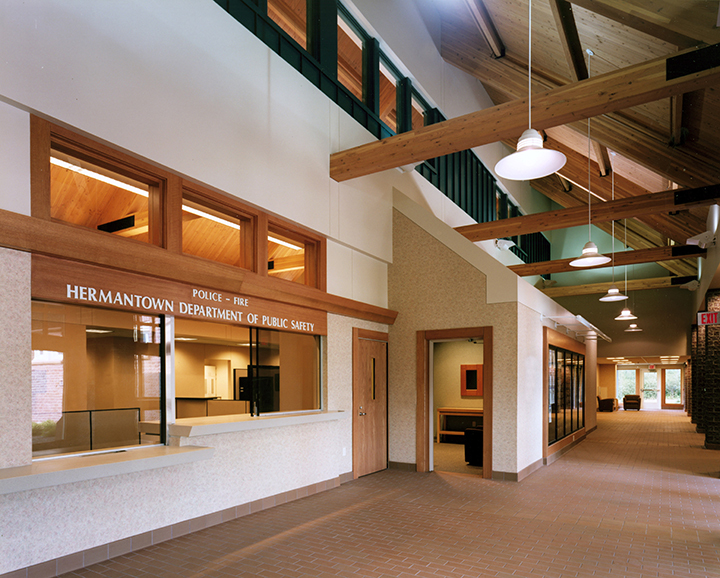 Hermantown’s facility was built to be in harmony with the environment and to complement the city’s rural, residential character. 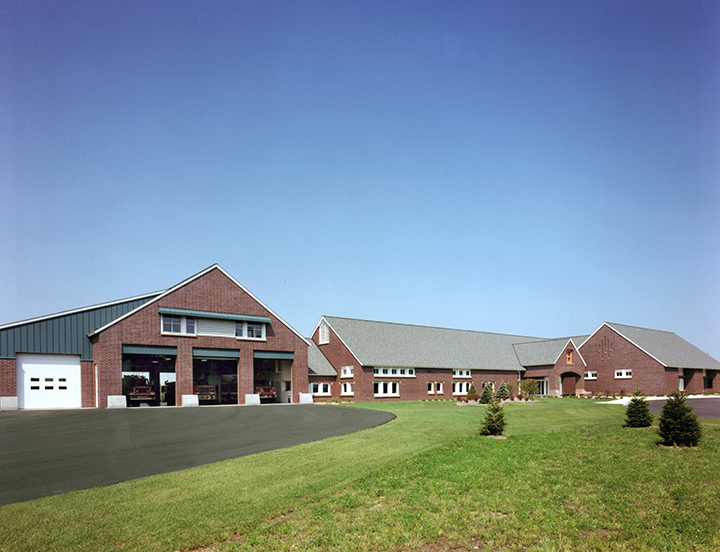 This was accomplished by making it resemble a cluster of rural or residential buildings with sloping roofs. 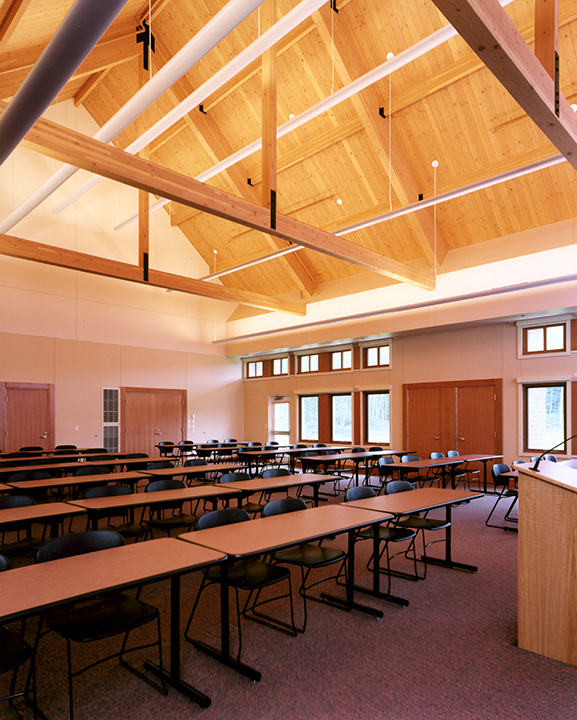 The building is set back from the roads, preserving the rolling, wooded nature of the site.